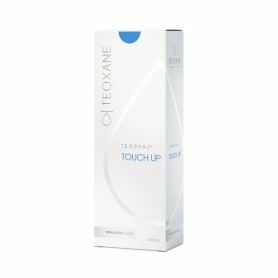 This serum reactivates the main mechanisms of the skin to promote cell growth. Reactivates cell growth. Plump your skin. Apply morning or evening on the face and around the eye. Complete the program with REJUV SILK or your Eneomey anti-aging treatment. Aqua (Water), Dimethicone, Polysorbate 20, Glycerin, Caprylic/Capric Triglyceride, Propanediol, Dimethicone/Vinyl Dimethicone Crosspolymer, Sodium Hyaluronate Crosspolymer, Hydrolyzed Sodium Hyaluronate, Sodium Ascorbyl Phosphate, Tocopherol, Tocopheryl Acetate, Vaccinium Vitis-Idaea (Lingonberry) Fruit Extract, Eperua Falcata Bark Extract, Punica Granatum Pomegranate) Fruit Extract, Euterpe Oleracea (Acai) Fruit Extract, Baicalin, Simmondsia Chinensis (Jojoba) Seed Oil, Squalane, Urea, Lactic Acid, Magnesium Aspartate, Saccharide Hydrolysate, Sodium Lactate, Sodium PCA, Zinc Gluconate, Alanine, Glycine, Citric Acid, Gluconolactone, Creatine, Copper Gluconate, Calcium Gluconate, Maltodextrin, Acrylates/C10-30 Alkyl Acrylate Crosspolymer, Pentylene Glycol, Xanthan Gum, Silica, Sodium Hydroxide, Parfum (Fragrance), Benzyl Alcohol, Dehydroacetic Acid, Sodium Benzoate, Potassium Sorbate.